Rainbow Sandals, a San Clemente based company since 1974 who also runs the biggest stand up paddle event in the world, the Battle of the Paddle will help honor the passing of San Clemente born Nick Pasquale a the upcoming event on September 28 & 29, 2013 at Doheny State Beach in Dana Point, CA. Nick Pasquale born and raised in San Clemente, CA was tragically killed when he was hit by a car on September 8, 2013. Nick was only 20 years old however he played football and lived life much beyond his years. 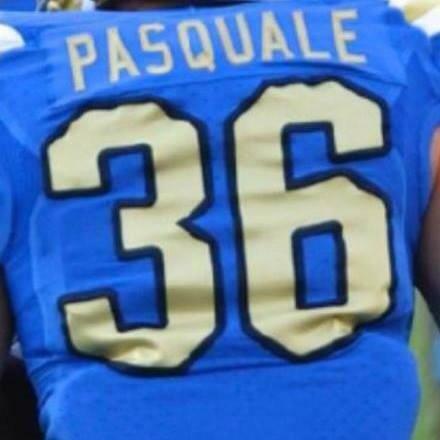 In loving memory of Nick, the Pasquale family and friends created the Nick Pasquale Foundation (www.nickpasqualefoundation.com), a charitable cause that will use its monetary donations to support athletes and those in need who demonstrate extreme effort and leadership to pursue their dreams. Rainbow Sandals, owned by Jay “Sparky” Longley and is his staff Pat Huber and Barrett Tester who run the Battle of the Paddle have generously offered to help honor Nick Pasquale and his foundation and to allow Byron Kurt, a local elite paddler, San Clemente High School graduate and friend of the Pasquale family to wear a special race jersey to honor Nick during the event. Rainbow Sandals will also be making a $1,000.00 donation to the foundation along with giving a “Most Inspirational Paddler Award” in Nick Pasquale’s name. “Given the nature and closeness with everyone involved, Nick, Rainbow Sandals, Byron and our event, made the decisions easy to help pay tribute to Nick and his family”, stated Jay Longley. “When we were approached to help honor Nick and his foundation even though we do not know Nick or his family, we all felt this only made the right sense to help support his foundation given the proximity of his home town to the event and the local community”, Jay stated. Byron will wear the UCLA colors being a blue jersey, his number 36 in gold and the foundation website in his honor. Nick walked on and made the UCLA football team in 2012 and played in the first game of the 2013 season as a redshirt freshman with his family in attendance. Nick was also a three year varsity standout football player at San Clemente High School that his Dad Mel is also a Coach. “This is a tremendous honor to be able to pay tribute to Nick, the family and foundation to wear his number and the UCLA Bruin colors during the event”, Byron Kurt stated. “I have known Mel and Laurie (Nick’s Father and Mother) for 38 years and they are most supportive and well liked family in the community”, continued Byron. At 5’7” Nick had to work harder than most and did so, arguably by five times which is ultimately why he made such an impact on friends and teammates earning the right to make the UCLA football team. Nick ultimately wanted to be a firefighter, or in a career that helps others. Without question the local community will come out to join thousands of spectators that attend the Battle of the Paddle every year to support Nick, the Pasquale family and the foundation. This entry was posted in Hobie Heart and tagged Battle of the Paddle, Byron Kurt, Nick Pasquale. Bookmark the permalink.